IS THAT DRY CLEAN ONLY? For many of us we see these words on clothing that we buy all the time. But did you know that we have man named Thomas Jennings to thank for that? 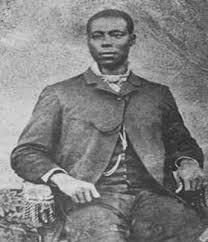 He was born in 1791, and was the first black man to receive a patent. He received his patent on March 3,1821 for a process he called “dry-scouring”. Today we know it as Dry Cleaning. He was by trade a tailor, and many of his customers did not know how to clean the clothes he made. He tested many different solutions until he came up with the right combination that would clean the clothes his customers purchased without ruining them once they became soiled. Mr Jennings was also the assistant secretary for the First Annual Convention for the People of Color in Philadelphia,Pennsylvania. He actually took a great amount of the wealth that he made from his invention, and invested it in the abolition movement that was in the northeast. He also liberated the rest of his family from slavery with the wealth he acquired. From rags to riches some might say. But liberating one self from slavery to a position of wealth is a leap only a determined mind can carry out! How determined are you in your pursuits?